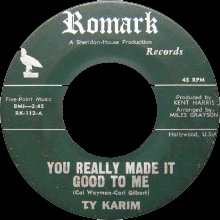 Ty Karim along with her husband created the quality Northern Soul dancefloor favourite ‘Lighten Up Baby’ which has been appreciated by British Soul fans since the 1970s. Years later DJ Ian Clark started spinning the equally good uptempo ‘Ain’t That Love Enough’ which also found an appreciative home on the scene. As the scene opened up to include 1970s later sophisticated ‘Modern Soul’ songs such as the 1970s update ‘Lightin’ Up’ would be introduced. 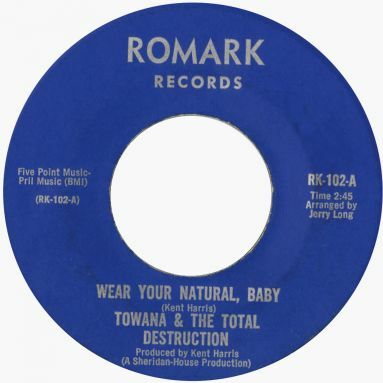 It was also realised that Ty was also known as ‘Towana and the Total Destruction’ which introduced ‘Wear Your Natural Baby’. With a broadening range of songs by the artist being appreciated Kent explored putting together a definitive CD of her recordings. This lavishly produced CD has sweet sound from the mastertapes, extensive sleevenotes and a sense of care in its creation. 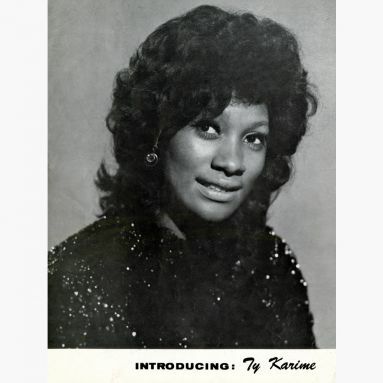 Ty was along with so many other artists such as Sandi Shelton, Bettye Swann or Dee Dee Warwick, a marvellous artist who never broke through to the mainstream. However the quality of her music is undeniable and this CD will be an essential purchase for fans of 60s and 70s soul music. Sadly Ty is now deceased so this CD provides a fitting testament to a great talent whose appreciation genuinely does grow over the years. Here is the story of a family of three black LA musicians that showcases the vocal talents of the wife and mother, Ty Karim. Her husband Kent Harris’ vocal career was largely over by the time she came into his life and he then spent most of his musical energy producing and promoting his wife’s soul recordings. 43 years on from those first recordings, the couple’s daughter Karime, now performs that wonderful music to the same UK fans who have searched out and appreciate the scarce releases of her parents over the last three decades. 60s Big Beat ballad fans should look out for the stunning ‘All At Once’ which may have passed them by as its flip commands such a high price. Due to heavy local sales ‘Help Me Get The Feeling’ is a relatively cheap (we’re talking hundreds not thousands) single but an equally great 60s Motownesque dancer. 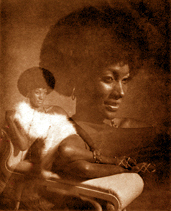 Ty and Kent’s crossover funk ‘Wear Your Natural’ presaged the 70s soul sound that Ty also mastered. She worked through that decade with ‘Lightin’ Up’ the standout release, and then into the 80s, when her 12” collaboration with George Griffin ‘Keep On Doin’ Whatcha’ Doin’’ gained her new overseas fans. We are pleased to be able to include her prototype of that song ‘If I Can’t Stop You (I Can Slow You Down)’ as recorded by CB Overton and Johnny Bristol; it has got the Modern Room DJs licking their lips already. Sadly Ty died in 1983, but with her daughter Karime living only a couple of miles from Ace, we’ve pieced together this fascinating story. It includes how a Northern soul fanzine article about her mother inspired Karime to move to the UK and eventually led to her singing her parents’ wonderful music to very appreciative crowds on today’s Northern Soul circuit. Kent Harris has given us complete access to all his master tapes and photographs and we have even found new material and alternative takes on some of Ty’s songs, including a great blues version of ‘Lighten Up Baby’. The musical clarity from the masters is particularly good too; given the understandably poor sound quality of previous bootlegs of the music. 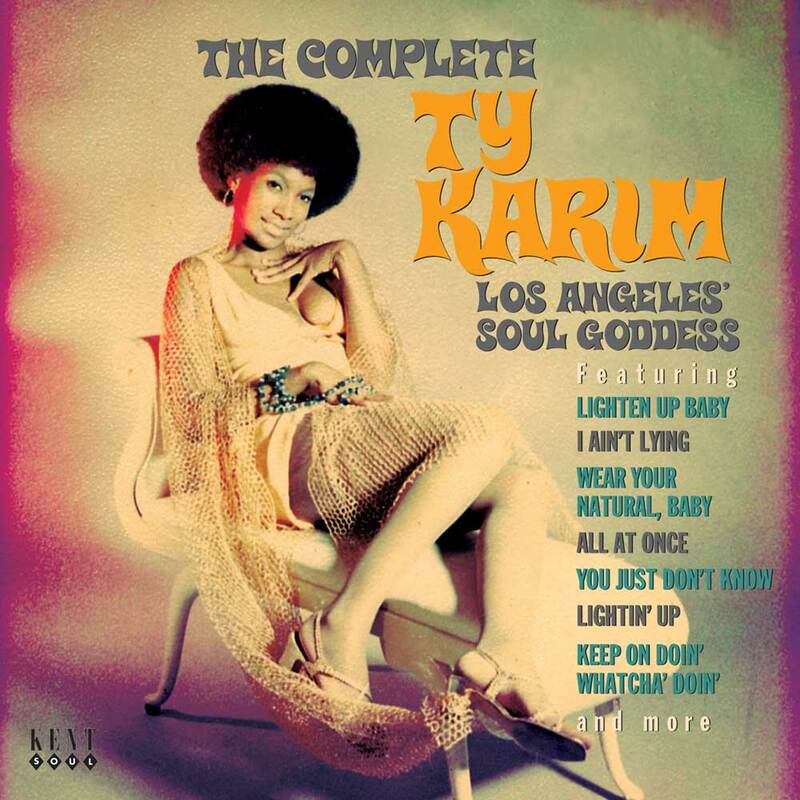 From being an almost mythical and revered West Coast chanteuse, we can now appreciate and understand Ty Karim for the sublime artist she was.